Add value to your business by JOINING NOW! New businesses are entering the biowaste management industry in the UK and existing businesses continue to adjust to market drivers and conditions. The Organics Recycling Group (ORG), previously known as The Association for Organics Recycling (AfOR) is here to help them succeed, to share best practice and knowledge and to represent industry veiws where it matters - with policy makers and regulators. 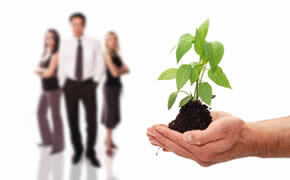 Whether you are a supplier of biowastes, a producer of composts, digestates or MBT outputs, a consultant, a product or service supplier, a service beneficiary, a local authority or an academic institution, joining the ORG will put you in the heart of the industry with access to a range of valuable benefits. The Organics Recycling Group aims to provide support to help members work more effectively. Please contact us if you have any questions about our work.